Are you looking for a sweet treat to send someone special? Is there a birthday or anniversary coming up? If so, send that special someone a Cape Cod Candy Gram! Candy Grams are perfect for all occasions: birthdays, anniversaries, office parties, thank yous, holidays, and just for fun! 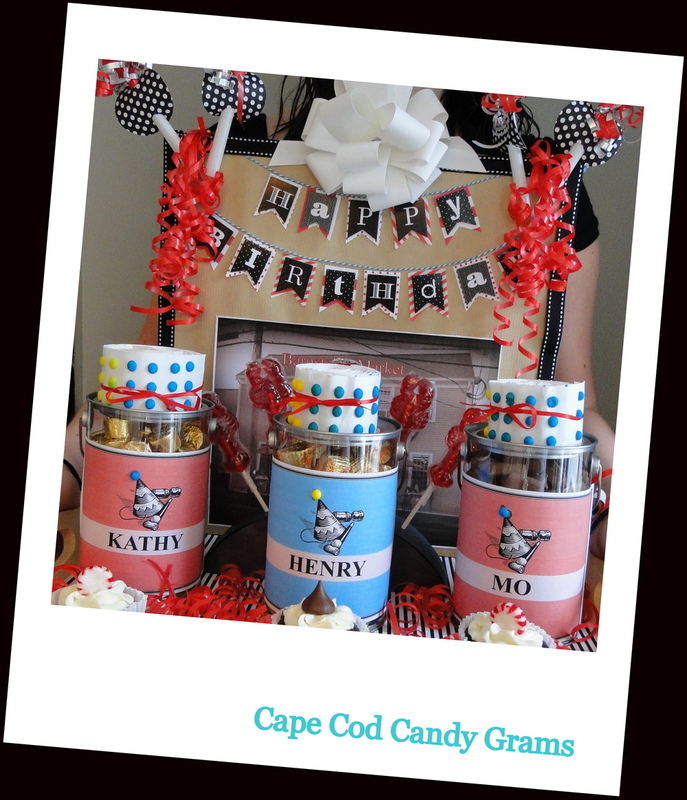 Delivered by one of our Cape Cod Candy Gram Girls, your Candy Gram is sure to be a fun surprise! Have your own idea? That's perfect! Here at The Perfect Table, we want to customize Candy Grams to the receiver's personal style. Give us a call and we can discuss how our designers can make your special someone a very special surprise. Want a sweet alternative for your sweetheart this Valentine's Day? How about a Cape Cod Candy Gram delivered by our very own Cape Cod Candy Girls? Could it be more "Perfect?" Give us a call today @ 508.737.5174!